After working as the assistant manager at Readings Carlton for almost 10 years, Sharon Peterson has recently moved into the role of shop manager at Readings St Kilda. We chat with her about bookshop proposals, her love of the classics, and what exciting reads she has on her TBR pile. Why did you decide to work in books? I can’t say that I actually ‘decided’ to work in books (I vaguely remember wanting to be a teacher) but my first full-time job between high school and university was at the Stonemans Bookroom in Castlemaine, and after that, bookshop jobs were just the easiest ones to get. They were also the ones I would get the most excited about. Before starting at Readings, I actually did try to get out of bookselling but failed. Despite my relevant experience, I showed a ‘lack of enthusiasm for the product’ – it seems I’m not as passionate about bed linen and homewares as I am about books. What is the weirdest thing to happen to you in a bookshop? I once helped someone propose to his girlfriend! I can’t remember the exact details now, but I recall I had to plant a book in a particular section of the store, and when the couple came in to make an enquiry, lead them in the right direction. It required my best acting skills. Several staff members were hiding behind shelves, spying on proceedings, so there were heads bobbing up and down all over the place. It was quite funny. Describe your taste in books. In my late teens and through my twenties, I devoured the classics, such as the Brontë sisters, Jane Austen, Thomas Hardy, Oscar Wilde, Evelyn Waugh – to name a few. These days though, I read mostly contemporary fiction. I especially love English and Irish fiction, and of course Australian too. We have some brilliant local authors on our doorstep. Tell us about a book that changed the way you think. I’m not sure if they changed the way I think, but two books I read for Year 11 Literature certainly made a huge impression on me. They were Wuthering Heights and The Picture of Dorian Grey. I had never read anything like either of them before. I’ve since read them both several times over the years and to this day, they remain among my favourite books. What’s the best book you’ve read lately and why? I’ve just finished reading Robert Hillman’s The Bookshop of the Broken Hearted and it’s definitely the best thing I’ve read this year. It’s a beautiful, gentle story. It was very difficult to concentrate on doing anything else – I just wanted to keep reading it. I also secretly want to own the bookshop that was put together in the book! What books are sitting on your bedside table right now? Lots of forthcoming titles. I was at a bookselling conference recently and came home with an armload of reading copies, so the stack is quite high. 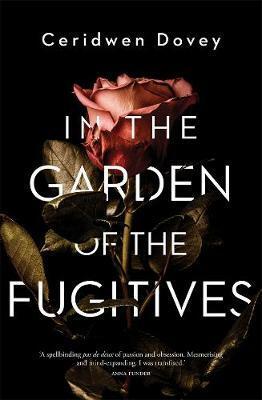 I’m currently half-way through Ceridwen Dovey’s In The Garden of the Fugitives and next up are the advance copies of new novels from Stephanie Bishop (Man Out of Time) and the new Kate Atkinson (Transcription).